The vocal ensemble Trio Mediaeval was founded by Linn Andrea Fuglseth in Oslo in 1997. 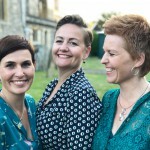 For sixteen years, the three original members Anna Maria Friman, Linn Andrea Fuglseth and Torunn Østrem Ossum constituted the trio. 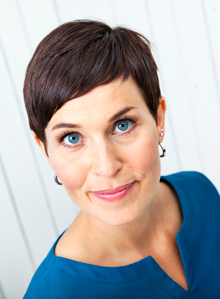 In December 2013, Torunn left the group. Linn Andrea and Anna Maria are now joined by Berit Opheim, who has been singing with the ensemble regularly since 2010. The trio’s core repertoire features sacred monophonic and polyphonic medieval music from England, Italy and France, contemporary works written for the ensemble, as well as traditional Norwegian, Swedish and Icelandic ballads and songs, mostly arranged by the group members. During the last ten years, the trio has developed exciting collaborations with both individual musicians as well as larger ensembles/orchestras. Trio Mediæval’s first CD on ECM Records, Words of the Angel, immediately reached Billboard’s Top 10 Bestseller list and was made the Stereophile “Recording of the Month” in April 2002. Further releases on ECM followed in 2004 with Soir, dit-elle and in 2005 with Stella Maris. The first three recordings, produced by John Potter, consisted of medieval and contemporary works. In 2006, the trio started a long-term collaboration with the Norwegian percussionist Birger Mistereggen, and the long awaited recording of Norwegian ballads and songs, Folk Songs, was produced by Manfred Eicher and released in the Autumn of 2007. Folk Songs was nominated for the Norwegian Spellemannprisen and for a US Grammy Award for “Best Chamber Music Performance” the following year. Their recording, A Worcester Ladymass (2011), like the previous releases, hit the Billboard’s Top 10 list, and was selected by the German Record Critic’s Award as one of the best new releases in the “Early Music” category. The trio’s new recording (released in November 2014) “Aquilonis” was included in The New York Times “Classical Critics Pick the Top Music Recordings of 2014”. Trio Mediæval has performed throughout Europe in a variety of venues: churches, cathedrals, monasteries, farms, clubs, industrial spaces, museums as well as prestigious halls such as Oslo Concert Hall, Bozar in Brussels, Concertgebouw in Amsterdam, London’s Wigmore Hall and the Vienna Konzerthaus. The group made its US debut in 2003. Since that first appearance, the trio has embarked on multiple North American tours, performing in 31 states, in cities across the continent. Highlights include concerts in New York’s Carnegie Hall, the Brooklyn Academy of Music, the National Cathedral in Washington D.C., the Kennedy Center, engagements at San Francisco Performances and Spivey Hall, and broadcasts on American Public Media’s Saint Paul Sunday and Performance Today. In Asia, the trio has performed in Japan, Hong Kong and South Korea. The trio has collaborated with a multitude of contemporary composers, including Anna Clyne, Gavin Bryars, William Brooks, Ivan Moody, Sungji Hong, Oleh Harkavyy, Bjørn Kruse, Trygve Seim and Andrew Smith. As a result of a cooperation in 2005 with the New York based composer trio Bang on a Can consisting of Michael Gordon, Julia Wolfe and David Lang, and the musikFabrik Cologne, the trio premiered Shelter, the group’s biggest multi-media contemporary music project to date. Shelter premiered in Cologne, Germany, and it was fully staged the same year at the Brooklyn Academy of Music. Julia Wolfe was so fascinated by the trio’s voices that she wrote a piece for them entitled Steel Hammer. Together with the Bang on a Can All-Stars, the trio premiered Steel Hammer in New York’s Carnegie Hall in November 2009, and recorded it in 2011. In May 2013, the Steel Hammer was performed in Europe in Bruges, Uppsala Konsert & Kongress, and at the Barbican Centre/LSO in London. The Bang on a Can collaboration also resulted in the full orchestral piece Reason to believe by David Lang, that the Trio Mediæval and the Norwegian Radio Orchestra premiered in Oslo in October 2011. The season of 06/07 was a seminal period for the trio, with the inception of a number of new collaborative projects with Norwegian jazz/improvisation musicians, and the inspiration and creativity that these musicians brought to the music and to the group marked a significant artistic shift for the singers. These included projects with Trygve Seim and Frode Haltli, and the Tord Gustavsen Trio where Gustavsen composed “musical miniatures” with lyrics by the Sufi poet Jelaluddin Rumi (1207-1273); the trio also began an ongoing collaboration with Arve Henriksen, often incorporating guest artists such as Ståle Storløkken, Jan Bang and Terje Isungset. This unique constellation has given concerts and radio broadcasts at the Bergen Festival (where the Trio were Artists in Residence in 2007), the Molde Jazz Festival (where Arve Henriksen was Artist in Residence in 2009), Wigmore Hall (2011) and the West Cork Music Festival as well as performances in Norway, Holland, Italy and Germany. In May 2012, the quartet toured the UK with seven concerts. In 2013/2014, the trio performed new projects and programmes with artists such as the video designer Lillevan, Sinikka Langeland Ensemble, the Kristiansund Sinfonietta, and the Oslo Filharmonic Orchestra. In the Autumn of 2014 the trio had two new collaboration projects. Anna Maria, Linn Andrea and Berit performed and recorded the pieces Just by David Lang and En la mar hai una torre by Betty Olivero with the Saltarello Trio in Drogheda in Ireland, and they also recorded John Adams´ Grand Pianola Music with the Deutsches Symphonie-Orchester Berlin and the GrauSchumacher Piano Duo.